Encore! Ultimate Metallic ink can be used on uncoated porous paper or emboss on coated papers including vellum. The Encore! color palette is comprised of rich, metallic colors that always adds shimmering elegance to any design. 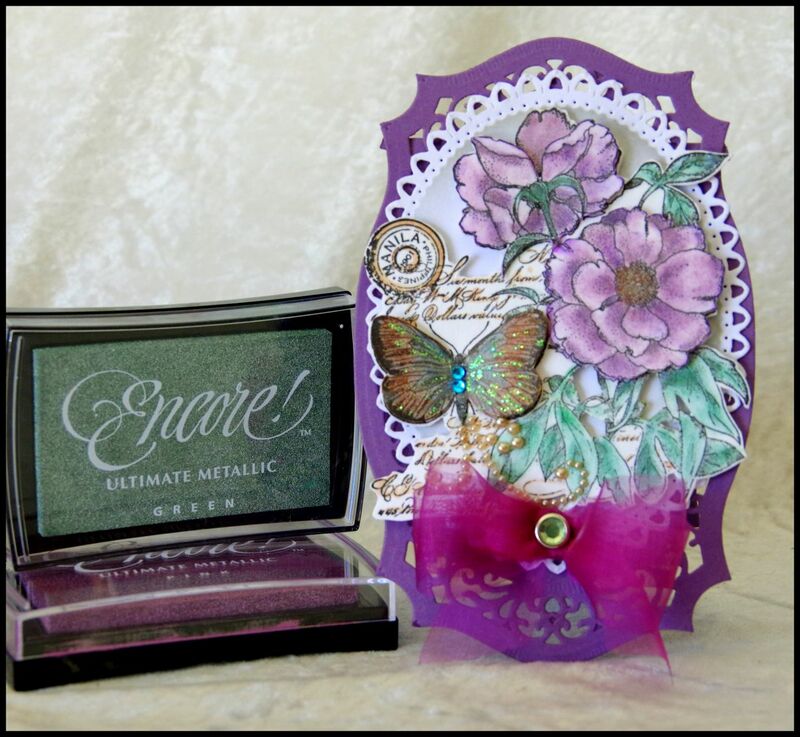 This luminous metallic ink is perfect for projects using rubber stamps and stencils, to name just a few. With Encore! there are endless application possibilities! Mix and match the different colors of Encore! 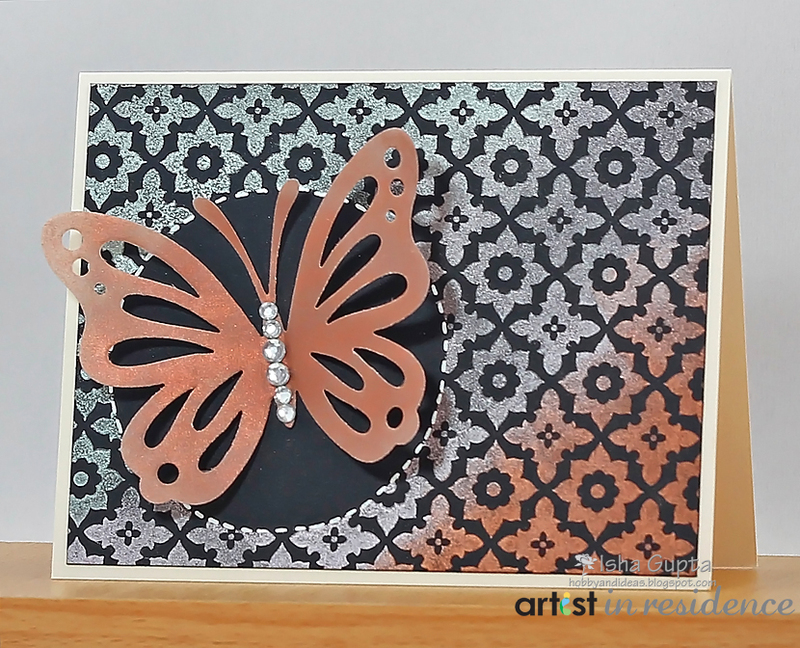 to create a background, then finish with one of the 'basic' metallic colors for the sentiment. 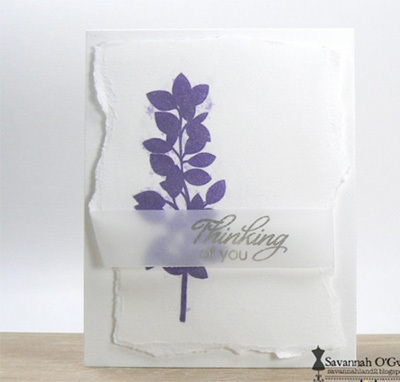 Sometimes simplicity is all that is needed for an elegant card. 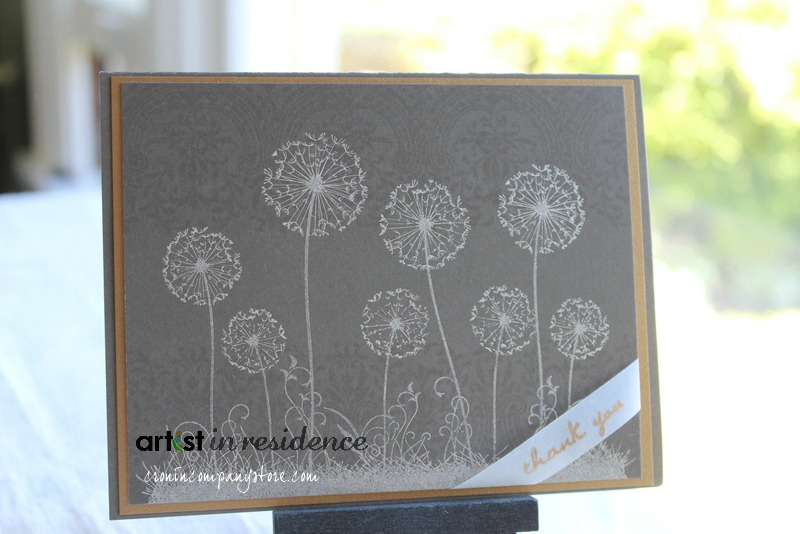 For this greeting, the dandelions were stamped with Encore! Champagne on a tonal printed background paper, with the sentiment stamped with Encore! Gold to match the gold layering piece. Becuase of the longer drying time, Encore! inks are perfect for blending techniques to build rich color. 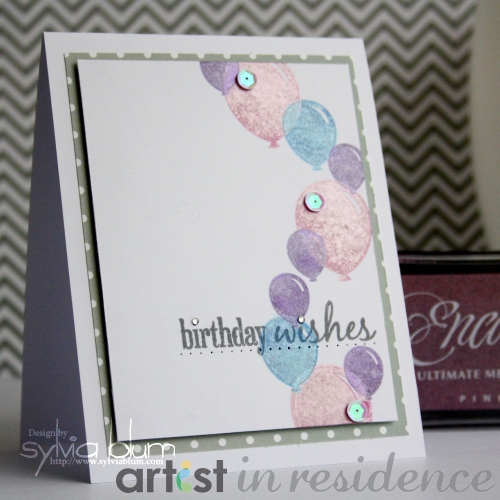 This also allows for great embossing.